I seem to work on just about everything last minute. I don't know if I necessarily work well under pressure or I just can't get my act together! 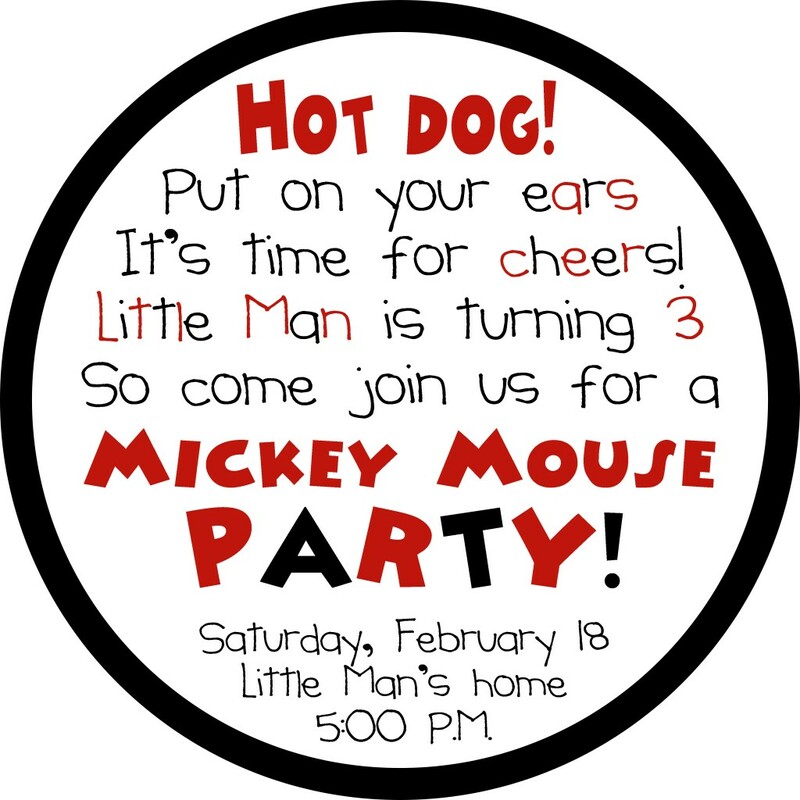 But the invitations have been sent, so this Mickey Mouse birthday party is really going to happen! 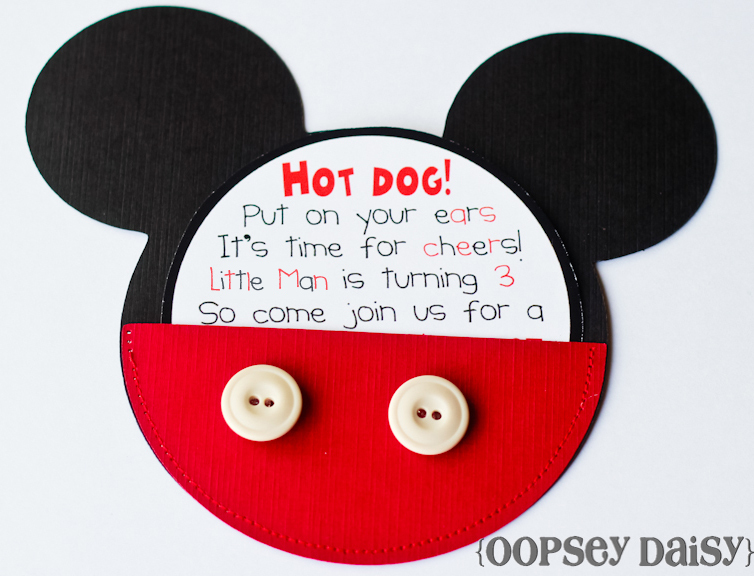 I loved creating these Mickey Mouse party invitations! When it comes to invites, I'm usually a Photoshop gal. So it was fun to to do some paper crafting this time instead! 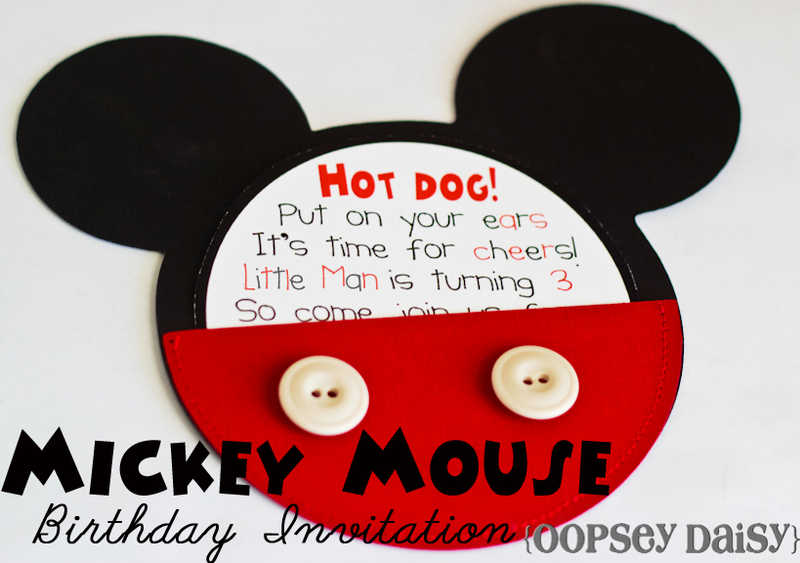 Do you want to create your own Mickey Mouse pocket invitation? 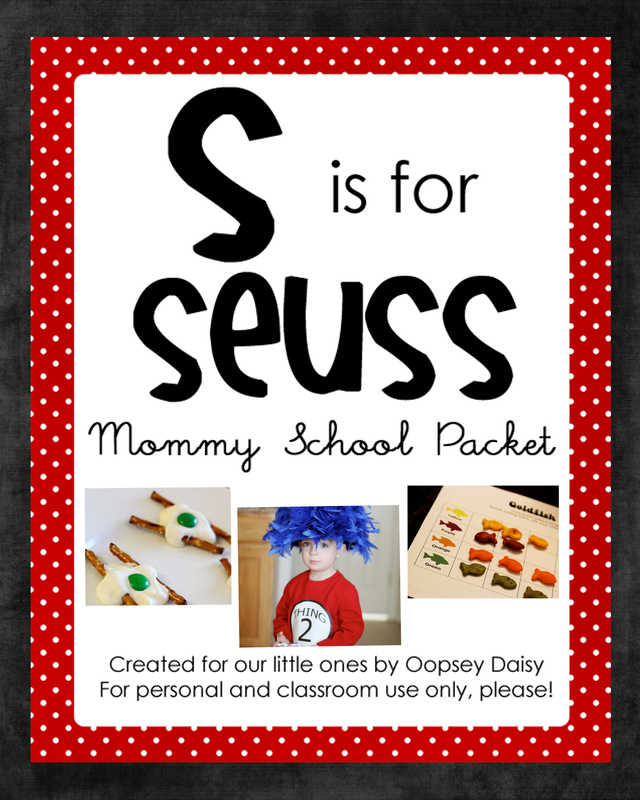 I started out by creating a Mickey head and a pocket sized to fit in Photoshop. 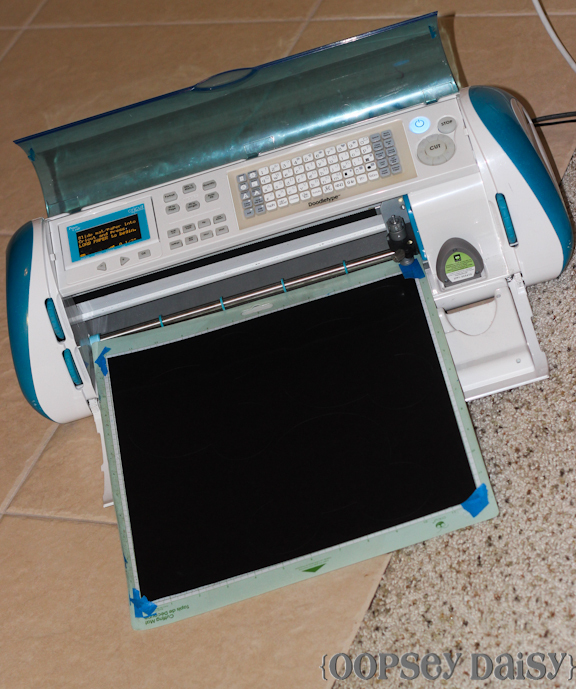 Then I cut them out on my Cricut. 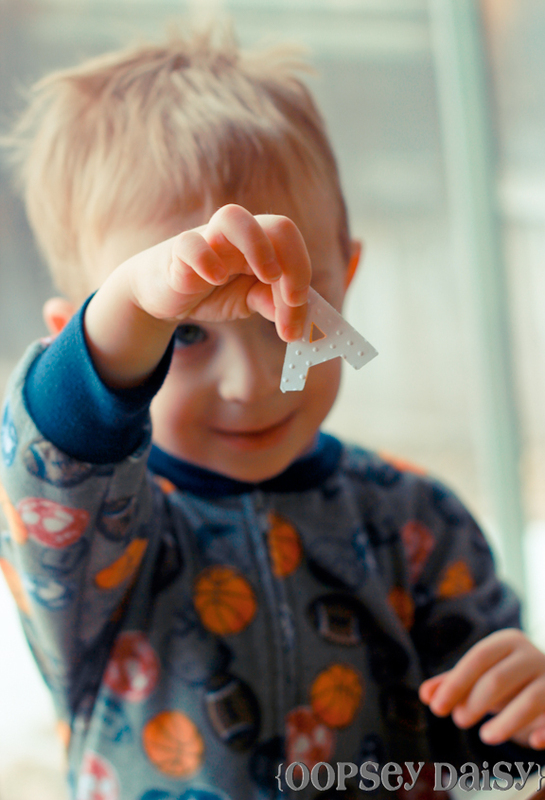 I also cut out "A" monograms. -- A picture for the back! 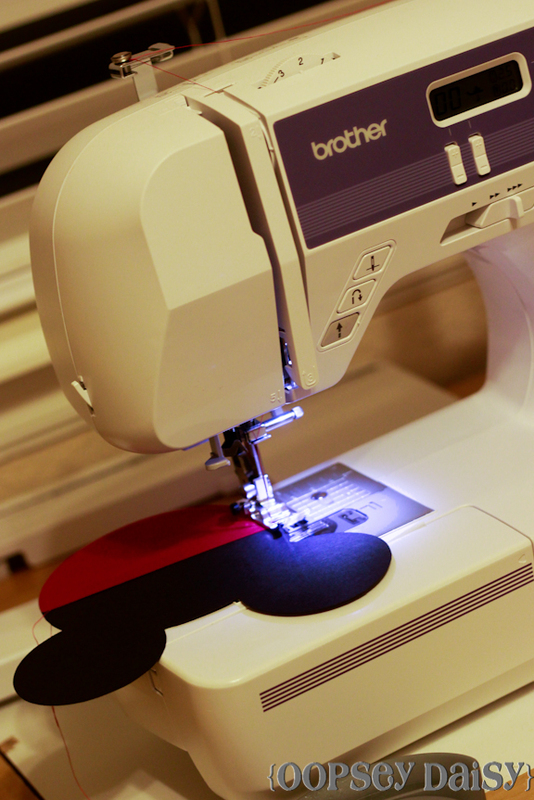 First, I carefully sewed the pocket to the Mickey head, making sure they were lined up perfectly. 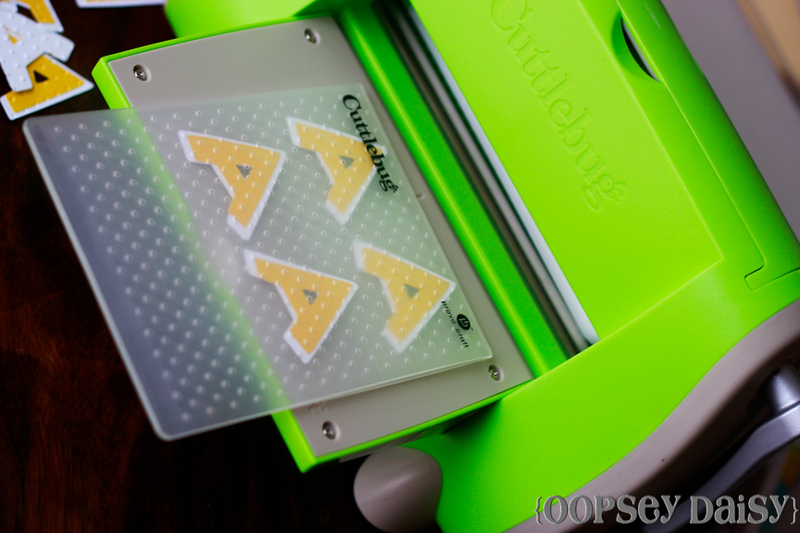 Next, I ran the monograms through my Cuttlebug machine to give them some texture. I pasted these on the front of the Mickey head. Little Man loved helping with this part! He loves using my craft machines! I traced a cup to create a circle on my photo, cut it out, and pasted this on the back. All done! What do you think?? This is the circle invitation I slipped inside the pouch. 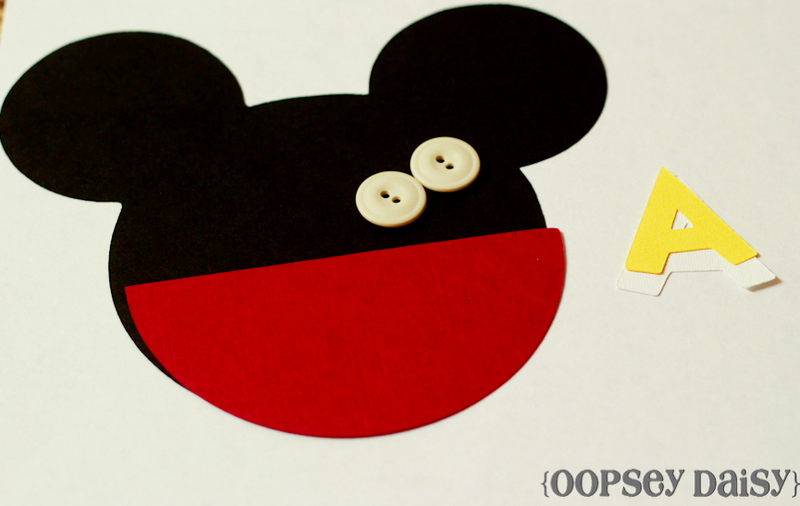 Did you know there is a "Mickey Mouse" and "Minnie Mouse" font?! 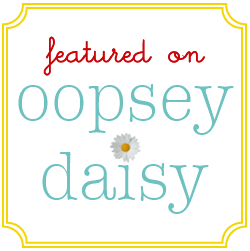 I used the Minnie Mouse font so it would scream Mickey Mouse! 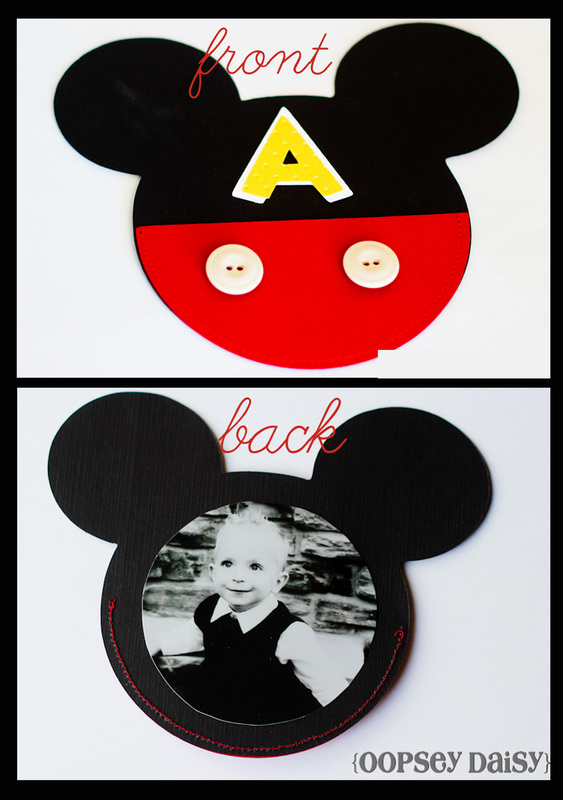 In my search on Pinterest, I found many lovely Mickey Mouse invitations! 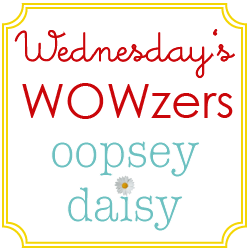 I used a combination of the ideas I found here at Pieper's Timeless Memories etsy shop and here at Embellishing Life. Thanks for the great ideas, ladies! 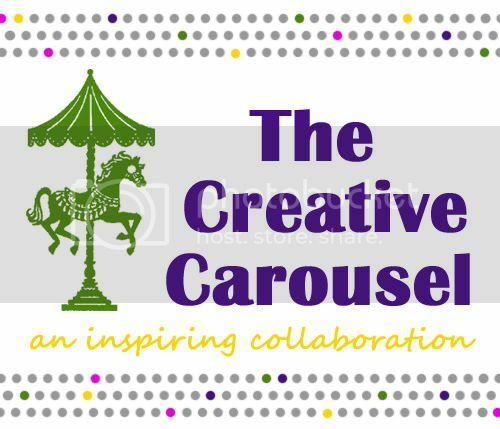 Come back tonight around 5:00 PM to link up your fabulous ideas!